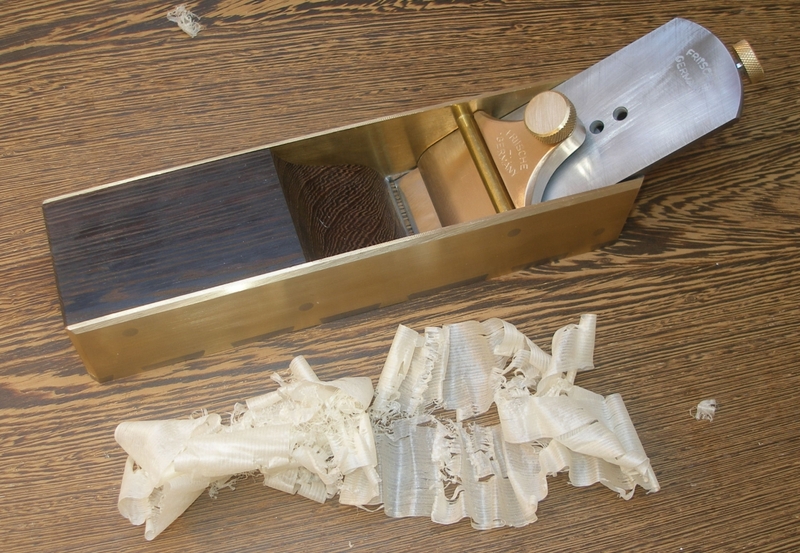 I competed on the “ Hobelmeisterschaft“ in Germany with my A11 Mitre Plane and although I polished the plane blade the thinnest shavings had 0,026 mm thickness. The shavings produced with a Kanna are much thinner. So I read what is the difference between an Infill and a Kanna. With this knowledge I designed an Infill with dimensions based on a Japanese plane. 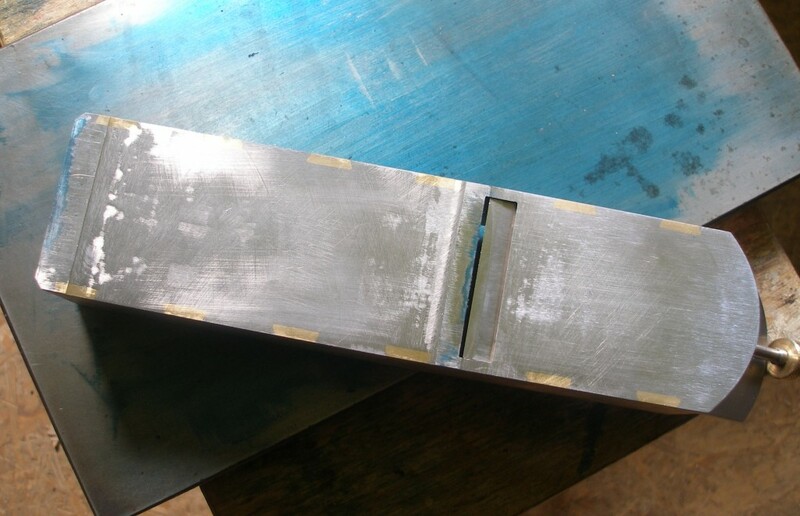 Length is 270 mm, plane blade is 60 mm wide and 5,5 mm thick and the bedding angle is 30°, the blade has no back iron. The adjuster has a thread with M8x0,5mm, that means because the bedding is 30°, one turn pushes the blade app 0,3 mm deaper. 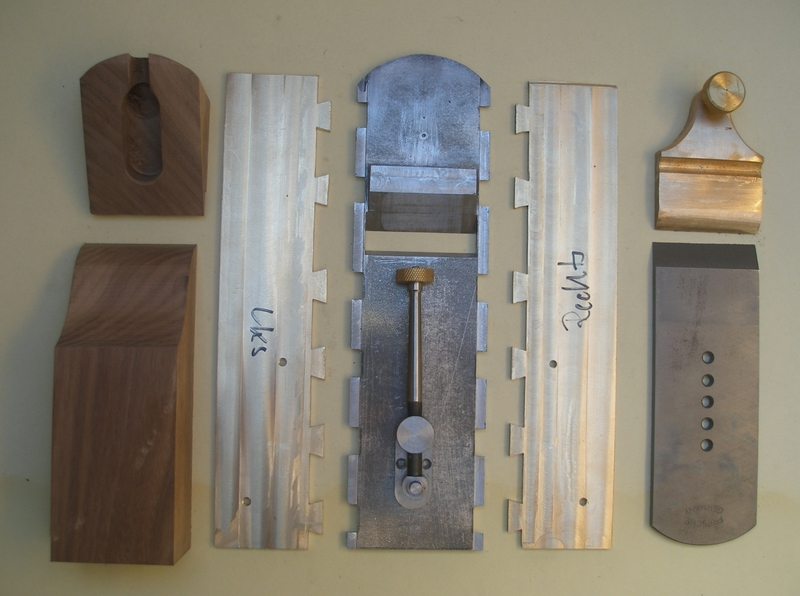 You can see that the sole touches the wood only on two places and these parts are aligned by marking the high spots on a surface plate and using a precision scraper.